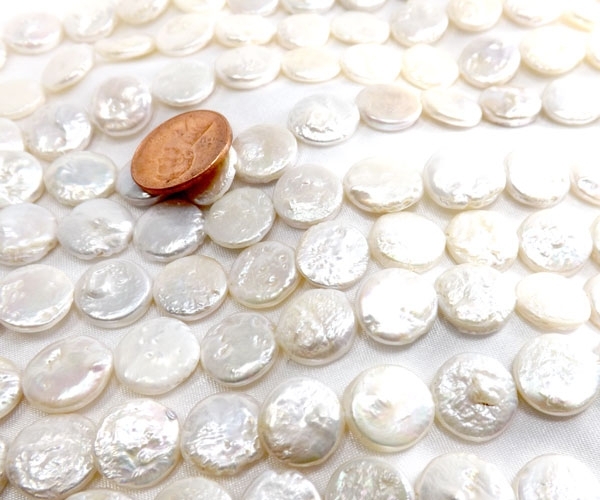 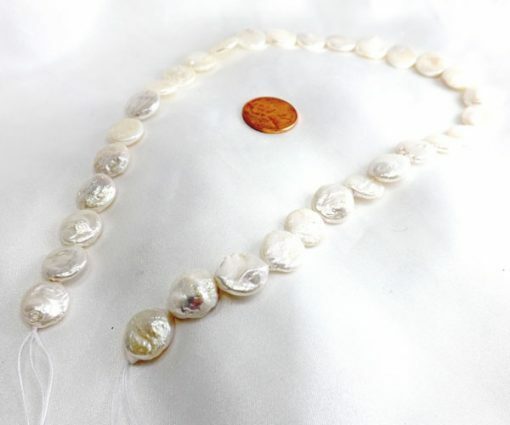 These cream white colored round shaped coin pearls are available at an approximate size of 11-12mm. The pearls have very high luster with a few surface markings as you can see from the picture. 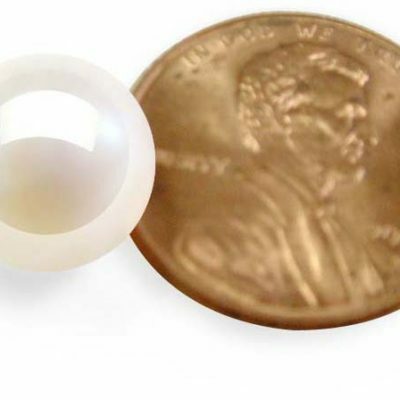 The thickness is almost 0.5mm. 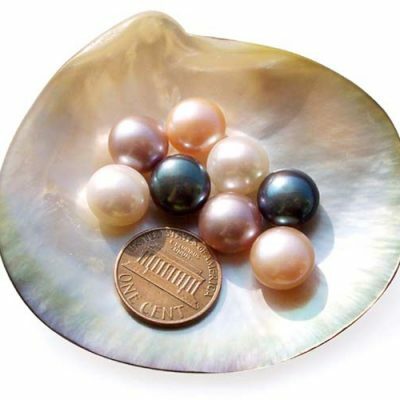 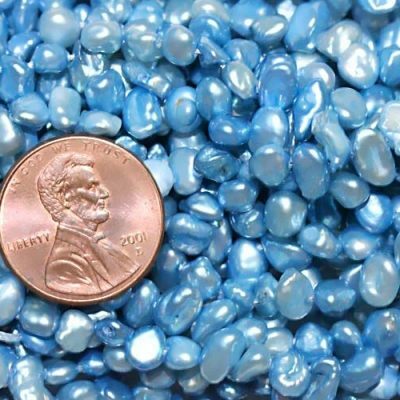 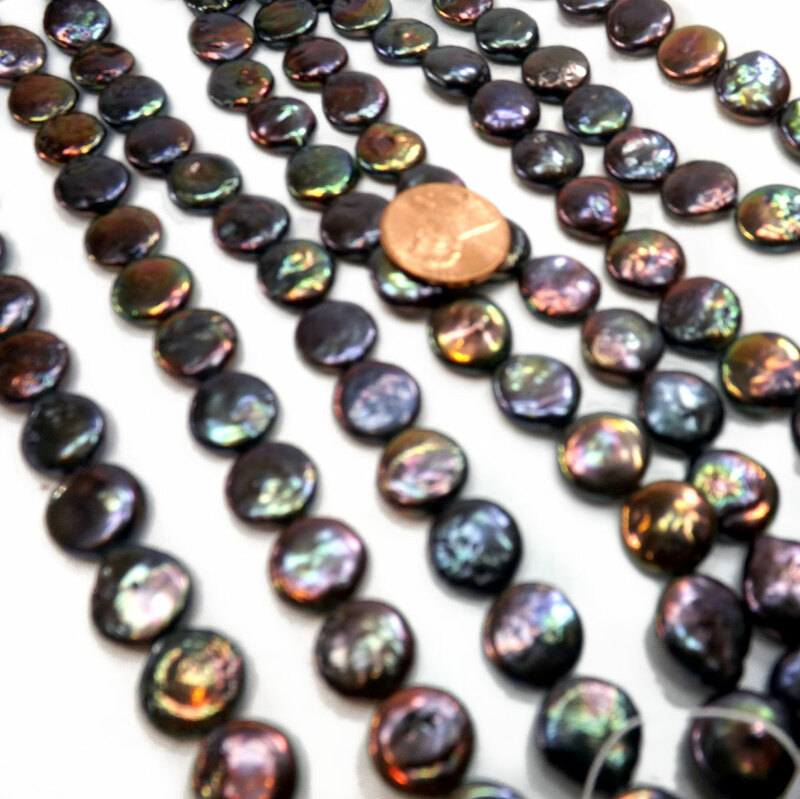 There are approximately 32 pearls on the strand at a length of approximate 15in long. Each strand has an approximate weight of 30gram.